Once again, a failure to execute doomed Chicago (4–6, 0–3), this time in their season finale against Wash U (5–5, 3–0). 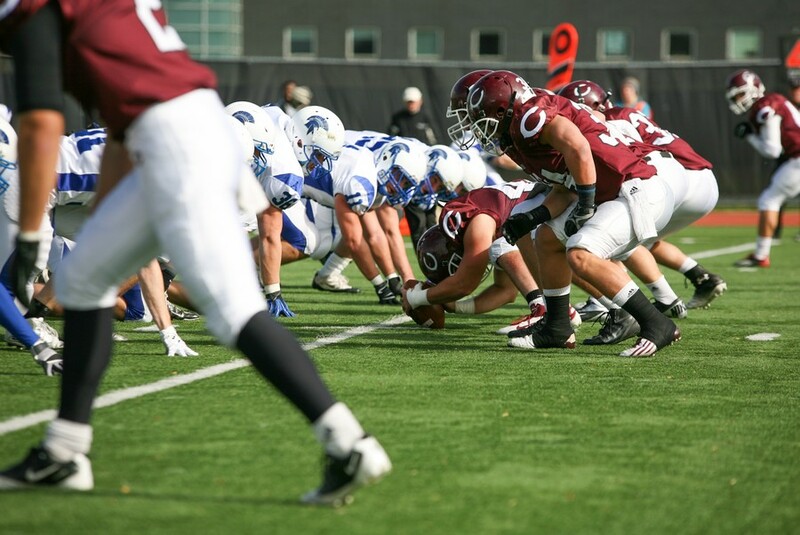 The undermanned Maroons struggled on Saturday, losing their third straight UAA game by a final of 23–7. The visiting Bears scored first, but failed to convert the extra point. Chicago fought back to take a 7–6 lead early in the second quarter, and after a Wash U field goal with 12:34 left in the first half, the Maroons were feeling pretty good. They were still in the game until a touchdown put the Bears up 16–7 as the second quarter came to a close. Keeping up with the theme of their season, the Maroons peaked in the first half and couldn’t come up with much in the second. Wash U held Chicago scoreless while adding one more touchdown in the fourth quarter, capping the 23–7 win. The Maroons were at a disadvantage from kickoff, having to play without star fourth-year receiver Dee Brizzolara because of a concussion. The Maroon offense still racked up 267 total yards, but it was little compared to Wash U’s 489. third down (2 of 11) and red zone (1 of 2) conversions were what hurt Chicago the most, and turnovers once again proved costly: While third-year quarterback Vincent Cortina threw for 192 yards and a touchdown, he also threw three interceptions. “I think the absence of Dee made it easier for [their] defense,” Cortina said. First-year receiver Cole Thoms had a big day in place of Brizzolara, catching six passes for 85 yards. “Thoms made some sensational catches,” Maloney said. Fourth-year tight end Brandon Meckelberg also played well, catching seven passes for 63 yards and the Maroons’ only touchdown. This game, however, exposed the Maroons’ weaknesses on offense. “It came down to our turnovers, red zone execution, and stopping big plays, which we didn’t do,” Maloney said. Chicago’s 4–6 record did not meet their preseason aspirations. But they did face lots of tough competition this season outside of the UAA, including three teams (Concordia, Elmhurst, and Wittenberg—combined records of 28–2) playing in the postseason. After closing out its season, Chicago will now lose 15 fourth-years, including Brizzolara, Meckelberg, and punter Jeff Sauer. If the Maroons want to find the consistency they were lacking this season, they will need next season’s returning players to show great improvement in the absence of a star-studded graduating class.